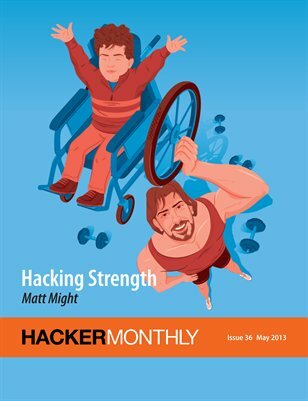 In this issue, we have our longtime contributor Matt Might on the cover with "Hacking Strength". In addition, check out articles about Clojure, cURL, virtualenv, Go, Assembly and more. In the "Special" section, take a look inside microchip, and learn how to beat procrastination with Parkinson's Law.